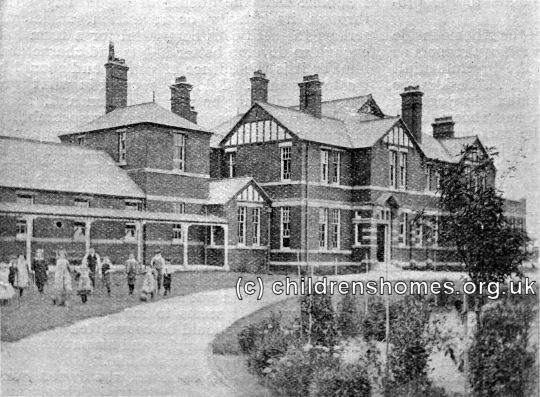 The Bradstock Lockett Hospital Home was opened by the Waifs and Strays Society in 1902 at St Anne's Road, Marshside, Southport, Lancashire. 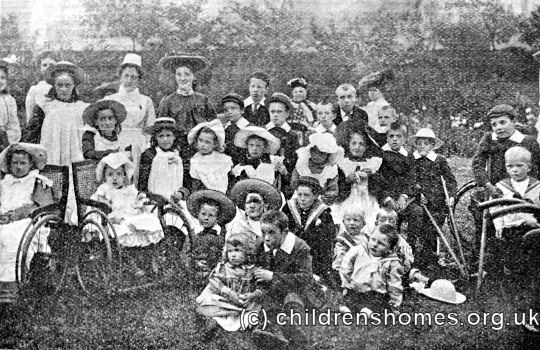 It was the Society's first home in the north of England providing care for children with physical disabilities. The purpose-built premises, erected in 1899-1901 at a cost of £7,500, could accommodate 32 children, with boys accepted up to the age of 10 and girls up to the age of 12. The home was formally opened by on July 22nd, 1902 by Viscount Cross, and dedicated by the Bishop of Liverpool. The proceedings were presided over by Mr G Bradstock Lockett, Chairman of the Northern Children's Union, which would be providing the most of the home's running costs. In recognition of this, the home was to be known as the Bradstock Lockett Hospital Home. The assembled company were told that the home was 'not intended for incurables, but for those who can be partially or wholly cured by a few years' care and nursing, and who, alongside of their care and treatment, can be taught and equipped for after life.' 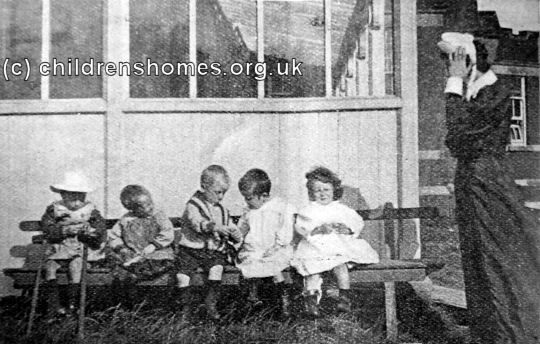 Initially, admission to the home was limited to children from dioceses in the north of England but this restriction was lifted in 1917. The building is placed so as to insure the greatest amount of sun. The laundry block and stable are arranged upon the north-east corner of the site, and form an efficient protection to the boys' ward from the winds coming from that quarter; the girls' block being similarly sheltered by the projection of the administration block. The principal entrance, in the centre of the south front, opens into a tiled vestibule, and thence by a short corridor into the main hall; from which the main corridor runs east and west to the boys' and girls' wards. The visitors' waiting-room, the recreation-room, and chapel all facing south, are entered from the south side of the corridor, and the dining-room, kitchen, and lady superintendent's private stores from the north side. The boys' and girls' wards are exceedingly bright and cheerful; they are forty feet long, twenty-two feet wide, and one storey in height, and contain sixteen beds each. The ceilings are shaped from the eaves, and flat in the centre, the pitch-pine principals and curved brackets greatly enhancing the furnished appearance of these apartments. The schoolroom is of good proportions, having at one end an open arch, through which is a raised chancel, containing altar, etc., for use during Divine service, but which is screened off by a revolving shutter when the room is used for teaching or other purposes. The recreation room, adjoining the schoolroom, contains the children's play lockers ranged round the walls, the tops forming a continuous seat. Just across the hall, and next to the kitchen, is the general dining-room of the Institute, twenty-five feet long and twenty feet wide. The home closed in 1968 then re-opened later the same year as the Bradstock Lockett Nursery. The nursery ceased operation in 1975. The buildings no longer survive and housing now covers the site.